Sandra Bullock’s motley crew of thieves in director Gary Ross’ Ocean’s Eight may have just found its eighth member. 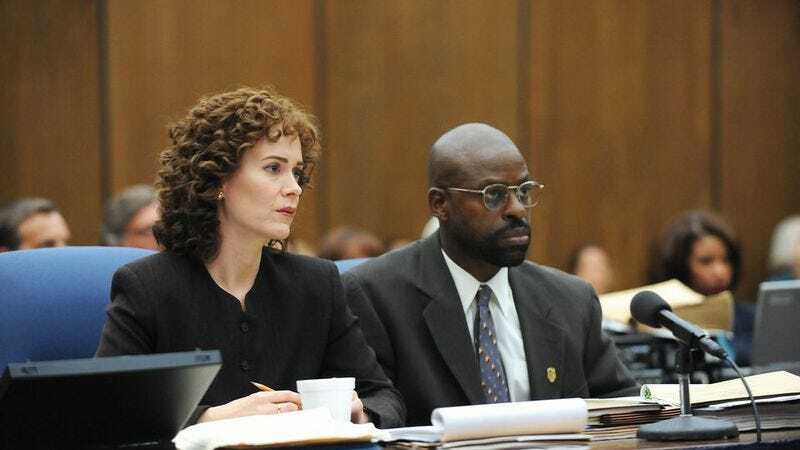 According to Deadline, Sarah Paulson is in talks to join the Ocean’s Eleven spin-off, and though the story doesn’t say what her role might be, she has definitely proved she’s awesome enough to be one of the heroes with her recent work on American Horror Story and The People Vs OJ Simpson. After all, pulling off a needlessly elaborate heist of some kind has to be less complicated than working on a Ryan Murphy show. If she does join the film, she’ll be appearing alongside Bullock (playing the sister of George Clooney’s Danny Ocean), Cate Blanchett, Anne Hathaway, Rihanna, Helena Bonham Carter, Mindy Kaling, and Awkwafina—who make up the existing seven members of the eponymous eight-member heist group. Original Ocean’s Eleven director Steven Soderbergh is signed on as a producer, so hopefully he’ll be making sure that Ocean’s Eight is sufficiently stylish and jazzy.